Medipac Travel Insurance | Cheaper travel insurance premiums. Same coverage. Medipac Travel Insurance provides a number of options that can help you save money so that your premium is cheaper but with the same comprehensive benefits and coverage. Medipac has three (3) programs to help our NEW and existing clients save money, up to 23% off. Claim Free Discount save up to 10%. Loyalty Credit save up to 8%. Provincial discounts: if you are from PEI, Nunavut, the Northwest Territories or Yukon, you’ll automatically save an extra 5%. Deductibles: Medipac offers different deductibles on your travel insurance, ranging from $0 to $10,000. The higher your deductible, the more you save. But only choose a deductible that you can afford. 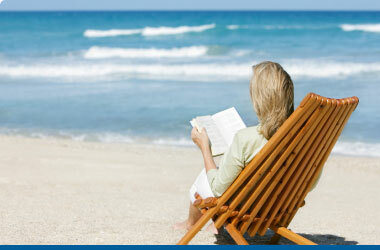 Top-up Options: Many Canadian travellers have existing coverage through a pension benefits plan or existing group plan. These plans are typically limited and only offer 15-60 days of coverage, whereas most snowbirds travel for up to 6 months. Medipac’s Top-up option allows you to use the days provided by your existing insurance for the first part of your trip, and “top-up” the remaining days with coverage from Medipac Travel Insurance. Federal Superannuates: If you are a member of the Public Service Health Care Plan (PSHCP), and recognize that the basic travel medical benefits provided under PSHCP are limited, you can purchase Medipac Travel Insurance for your entire trip and receive a credit toward your purchase. **Also receive a 40-day annual plan at no extra cost.